Saudi Arabia’s and Kuwait’s oil ministers said consensus is building among OPEC members on the extension of the cartel’s six-month oil production cut agreement, strengthening optimism about international prices. His Kuwaiti counterpart, Essam al-Marzouq, confirmed the progress in negotiations, also noting that compliance with the agreement was rising among its non-OPEC parties, which, according to him, showed “the importance of extending the agreement.” Al-Marzouq added that Russia has given its preliminary consent to the extension. The need to extend the agreement, which was planned to cut off some 1.8 million bpd from global supply, became evident before the end of the first quarter, when it emerged that instead of declining, global supplies actually increased. 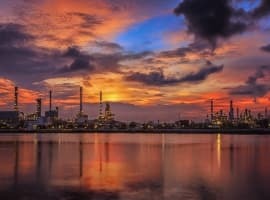 This was primarily explained with refinery maintenance season, which in the U.S. led to a string of seven-figure inventories increases, making markets nervous. Now that refinery maintenance is gradually ending across the world, demand for the commodity should pick up, especially in the second half of the year. As a result, the Kuwaiti Oil Minister said, the extension may require smaller cuts than the ones agreed last November. Also, Al-Marzouq said, the cartel will be happy to welcome more non-OPEC producers in the output cut agreement. The remarks suggest that Iran has reached an oil output level that it is comfortable with for the time being, or that serves as a sufficient base for it to continue to ramp up production until May 25, when OPEC will meet in Vienna to decide on the extension. Nothing but talk trying to keep prices buoyed. OPEC better stop building and do it before the price goes back to $47 again.